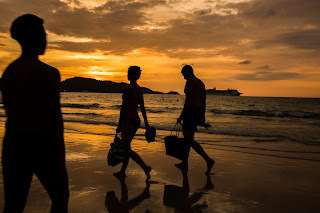 Sunset at Patong beach, Phuket, Thailand. Otherwise Phromthep Cape is known for the best sunsets in Phuket. It tends to get crowded at sunset as everyone tries to capture the best shots but it is still worth the trek if you have a car/motorbike.